In the run up to my wedding I kept my skincare as simple as possible to avoid unexpected reactions. I relied upon products from Myroo and that included the morning of the big day. I have known Myroo for a few years and first featured them in 2012. Myroo recently relaunched as a totally free from skincare brand. All their products are natural, organic and vegan. They are free from 14 food allergens and do not use any known synthetic irritants. 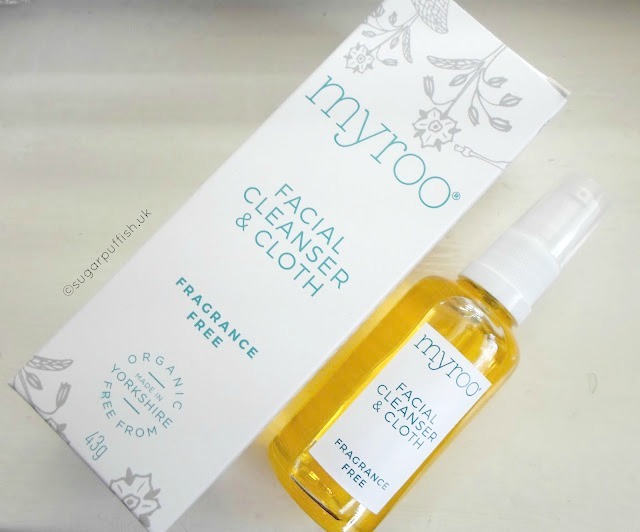 Myroo also offer a fragrance free version of every product which is free from all 26 cosmetic allergens. You're probably aware I'm sensitive to linalool so I've been using the fragrance free cleanser, facial serum and lip balm. Each product has performed beautifully and I like using them. The ingredients are perfect for me. Myroo includes Apricot Kernel, Borage Seed, Rosehip, Jojoba, Coconut and Raspberry Seed in their products. I find the cleanser effective at removing makeup and the facial serum works well for both day and evening use. When wearing makeup I allow a little time for my skin to absorb the serum and then I'm good to go with applying my mineral powder foundation. The lip balm has a nice consistency which melts on contact with skin, it feels hydrating but not overly thick or sticky. I found it perfect for prepping my lips in run up to my wedding day and I used it under my lipstick. would love to win for my daughter she has such sensitive skin. Oh this is so very exciting! Love MyRoo and the serum is a fave! I am an aromatherapist and choose products according to ingredients. I don't have allergies, but I do love the idea of this lovely pure product. It's great to see a brand that has a number of products that are free from EOs as well as other allergens. I'm off to have a look at their website now as I've never heard of this brand before, or perhaps I have but didn't realize how good they were.